From an early age, Dr. Grant Dunbar discovered that he had a love for animals; frequently bringing home any stray or abandoned animal that needed a home. This passion then evolved with him spending a majority of his time after school and on the weekends at his father’s hospital developing the skills needed to take care of the animals he cared so much about. He continued to follow his passion, pursuing a Doctorate degree at Western University of Health Sciences in Pomona, California. Dr. Grant Dunbar then went on and completed an internship program at Animal Emergency Medical Center in L.A. focusing on critical care, surgery and internal medicine. 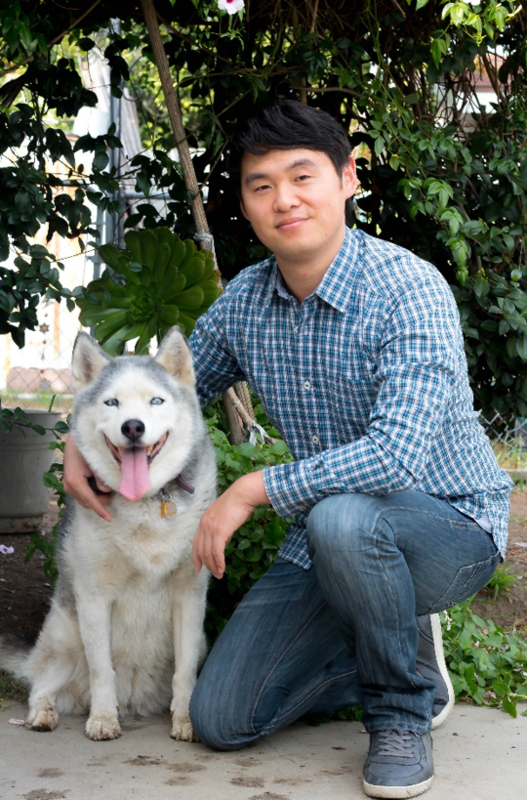 After spending his postgraduate years working as an emergency vet, general practitioner and surgeon, he has moved on to become owner and medical director of Chino Hills Animal Hospital. Dr. Grant Dunbar looks forward to providing you and your beloved pet with the quality care he has worked most of his life perfecting. Dr. Brauer was an animal-loving child with dogs, birds, and hamsters; thus, she isn’t surprised when people bring in every type of furry animal to her. She attended undergraduate and veterinary school in her home state at the University of Illinois where she met her husband who is also a veterinarian. Helping animals by offering the best care and highest quality treatment is her primary focus in veterinary medicine. She realizes every patient is someone’s beloved pet—whether hamster or dog—so all patients are equally important to her. She is happily married to her husband and resides with their rescued cat, Rudy. Dr. Gonzales always knew she’d have a career with animals & decided on becoming a veterinarian, a career that allows her to treat both small & agricultural animals as she practices at our clinic & co-runs a weed abatement program with her husband, which focuses on environmentally sound practices by utilizing goats to naturally clear land. All aspects of veterinary care appeal to her, especially caring for animals over the course of their lifetimes. Her goal is to ensure pets lead a comfortable life because she notices when that happens, owners seem to be happier too. She is a mother of two children and lives locally with her husband, George and their pets. Born in Missouri and raised in rural Kansas, Dr. Beckie Williams grew up on 5 acres with an assortment of dogs, cats and horses. 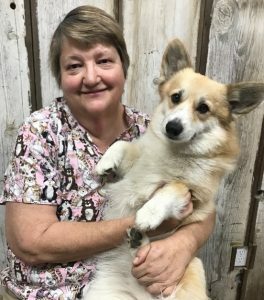 As an award winning breeder of Pembroke Welsh Corgi’s along with her partners Bill Shelton, Steve Leyerly and Deborah Salow, she is best known for her top winning dogs. Dr. Beckie has been helping breeders her entire veterinary career. As a proud Kansas State College of Veterinary Medicine graduate, class of 1985 she spends her free timing learning more about canine reproduction, showing dogs, and enjoying her 1910 historic Craftsman home. Dr. Beckie is also certified in Veterinary Acupuncture and has experience with hospice care. 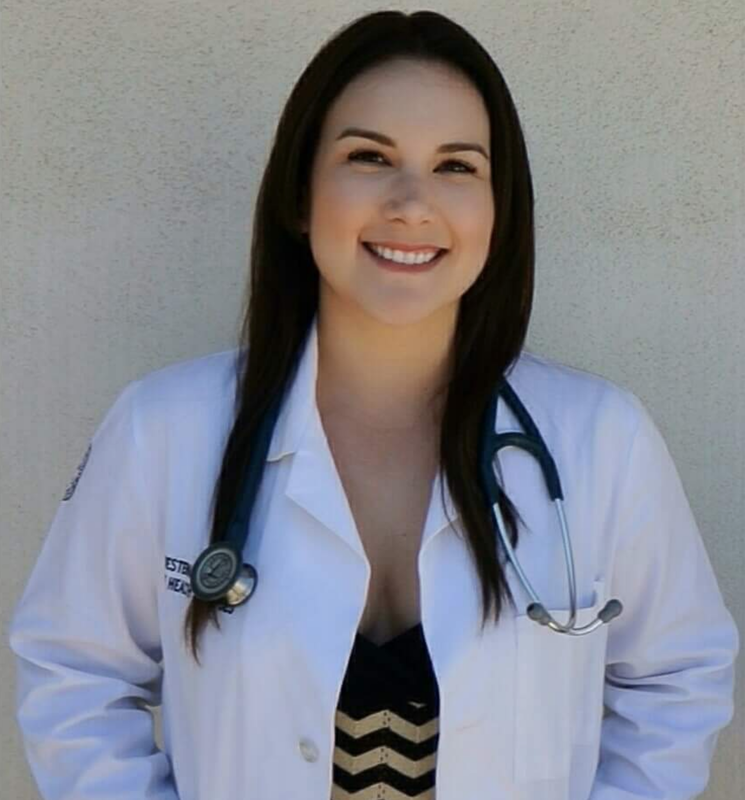 Born and raised in Southern California, Dr. Newtown received her Doctorate of Veterinary Medicine from Western University of Health Sciences and her Bachelor’s of Science in Animal Science at Cal Poly Pomona. She has always dreamed of a career working with animals and began a small collection of pets at a young age. She completed a year long rotating small animal internship at Southern California Veterinary Specialty Hospital in Irvine, CA where she learned to practice the highest quality medicine. Dr. Newtown is happily engaged to her fiance Paul and they plan to marry in early 2019. In her free time you can catch her hiking, cycling, or lounging with her two cats Galloway and Frisky Two Times. She looks forward to providing her clients with the best care and keeping your furry family members happy and healthy. Dr. Li graduated from Western University of Health Sciences with his Doctorate degree after discovering his passion for animal welfare and medicine at an early age. 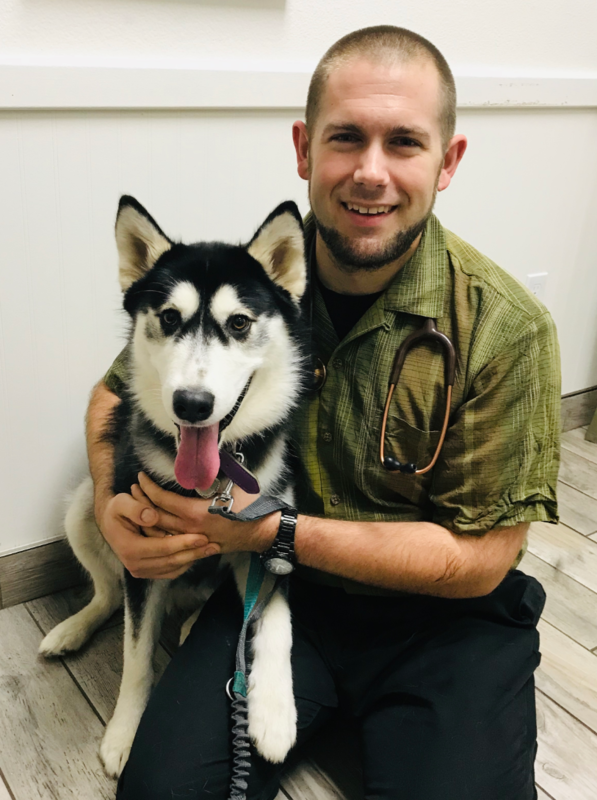 Following graduation, he spent a year in a surgical internship caring for large variety of cases at California Veterinary Specialist Ontario. He currently has a very sweet Siberian Husky by the name of Angel who was adopted over 13 years ago. On his free time, Dr. Li enjoys spending time outdoors, trying out new foods, and going to Disneyland with his girlfriend. He looks forward to providing the best care possible for your beloved pets, keeping them happy and healthy. Dr. Moore grew up in Riverside, California on a plot of land behind the Parent Navel Orange Trees; having a large back yard allowed him to have many dogs, mostly golden retrievers, as well as cats, exotic animals/pockets pets and even some injured wildlife that he rehabilitated with the help of his family. Dr. Moore went on to earn his bachelor’s degree in animal science at California Polytechnic State University, San Luis Obispo with a focus in pre-veterinary medicine. After undergraduate, he earned his Doctor of Veterinary Medicine degree from Ross University School of Veterinary Medicine on the island of St. Christopher (St. Kitts) in the West Indies. Dr. Moore enjoys spending his leisure time working on his vehicle projects, off-roading, hiking, mountain biking and traveling with his wife, Jaimie. They currently have two dogs (Ottley and Toby), two cats (Maximus and Odin) and a tortoise (Penny). Dr. Moore enjoys practicing high quality veterinary medicine with compassionate care and is excited to serve the community, caring for furry, fluffy and scaly critters alike.